The newly built Posidonia Residence is located in Ischia Porto on the hill of the Osservatorio, in the midst of a natural scenery of unparalled tranquillity, just a few steps from the harbour and the famous Via Roma. Thanks to its privileged position, you will be enchanted by a truly breathtaking view, with the Aragonese Castle and the isles of Procida and Vivara in the background. 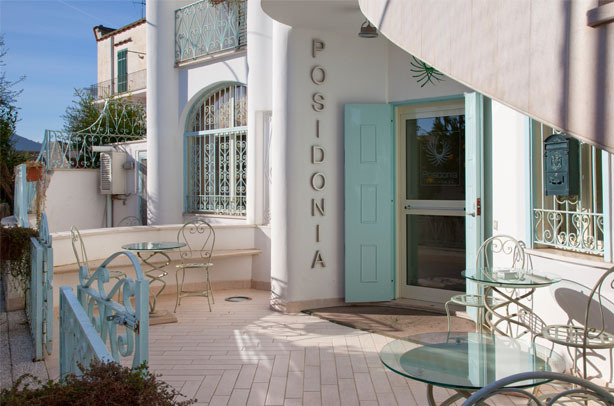 The Posidonia Residence consists of twelve apartments, studios and two – roomed apartments, all tastefully and carefully furnished. The Residence is fitted with all comforts and all guests can rely on a full assistance, from their reservations to their arrivals, and on the help of a competent reception staff to make request for every kind of external service.